SYS Consulting have developed techniques for constructing 3D models suitable for 3D printing. This enables full colour 3D rapid prototypes to be created. Using an in-house 3D printer we are able to prepare and produce physical 3D models in colour in a timely fashion. 3D printing or rapid prototyping can be used to create solid objects from a digital computer image. Printers lay down successive layers of powder or liquid to create a three-dimensional solid object of virtually any shape. To render a successful three dimensional object you must first digitally acquire the model, for example using a 3D scanner. However, to ensure successful reproduction in the printer you also need the capability to create a high quality geometric model. SYS Consulting have developed techniques for constructing robust three dimensional digital models suitable for 3D printing. Using the 3D Modelling skills of the Urban Modelling Group, it is also possible to create 3D models suitable for the printer. 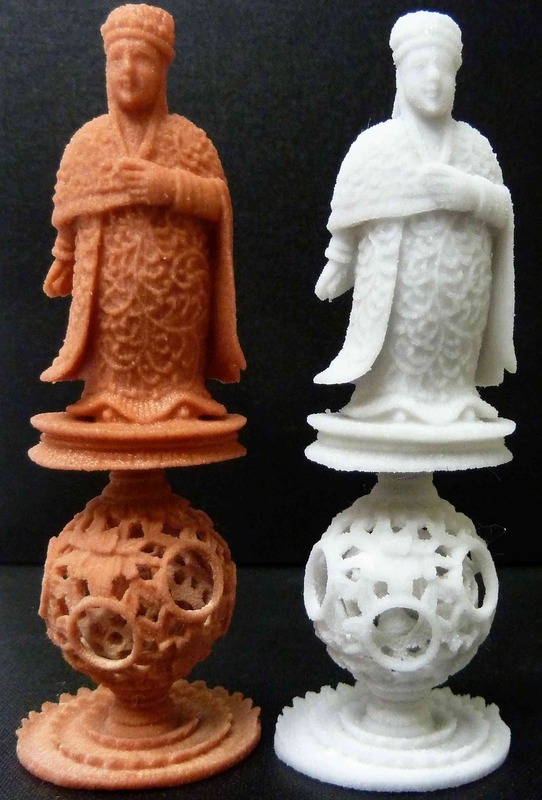 Using an in-house ZCorp 450 3D printer we are able to rapidly produce physical 3D models in colour. We are also able to convert CT or MRI datasets into 3D models which has important applications in the medical field. See the case study on applications of 3D Printing. To discuss your ideas for 3D printing please contact Dr Stephen Laycock (S.Laycock@uea.ac.uk).